Paul’s hands submerged into an inflated blue balloon as the village cop knocked on his van window. Shoeless and drunk and parked in the back lot of his apartment complex, Paul “immediately deflated” the balloon and tried to hide it as he rolled down the window to address the officer. Paul had made a damn-near festive bypass of the state-mandated method to prevent the drunken operation of his purple minivan. It’s worthy of headlines in the news and “didja hear” stories at the bar and slow, pedantic talk from regional politicians. Paul will go to prison for drinking and manufacturing, two of Wisconsin’s strengths, and spur a record that merely hints at a life. I worked as a daily news reporter and editor in western New York and then suburban Milwaukee through my 20s. I wrote honestly and on deadline well enough to stay on the small city front pages but without the savvy to see my own layoff up the road. With limited resources and capabilities, there are small victories in daily news. In large part, those came from the details of a few sources and the persistence of routines. One of the routines involved combing through arrest records from village police departments, sort of a middle schooler’s level summary of misdemeanors and oddball response calls. 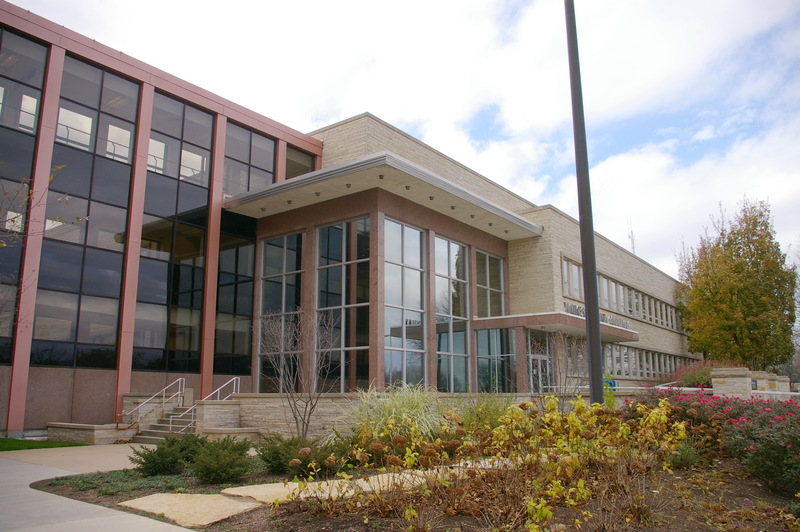 Witness: one Pewaukee resident called the town police headquarters to report she saw a monkey. The police chief confirmed that, yes, the resident thought she saw a monkey in suburban Wisconsin and, indeed, they searched for hours in vain to find that monkey. Regardless of the existence of a monkey, this story ran on our front page for days and led other news outlets to the pursuit. (Indeed, I said to a BBC editor, the resident claimed to have seen a monkey, and yes, she told the police at the beginning of the call that she “had had nothing to drink.”) Of the thousands of words typed and published weekly, these sporadic thrills made up for too many hours and the type of salary that occasionally necessitated a payday loan. A reporter works through a grim-yet-wonderful prism of reality. On one end is the medium, communications conduit that everyone claims to loathe, no matter the Constitution. Into the other, any verifiable source of information. Verifiable can be a loose definition – a stray phone call from a woman “truthing” about a David Icke/lizard people situation at the George Webb; the stacks of faxes from the jilted son of a local printing magnate – or the very strict letters of town zoning board meetings and village emergency call logs. Among that latter, I first came across Paul, with the balloons and lack of shoes and drinking. I found his arrest a day or two after the fact in the police logs and got more out of a boisterous chief, who mixed tough talk with puns about the “party” Paul was allegedly ready to throw. For me, it meant a few stories written at the trunk of the initial paper trail from charges against Paul for his Rube Goldberg drinking and driving contraption. Once The Man can build a paper trail on you, that paper can overshadow your personhood, if just in some temporary public space. I remember this from before being a reporter, from the jail and prison stints my parents and family fell into. No one is their worst moment, even as anyone can find and read about it. Let’s not get into what is fair. Like other daily news writers, for me next came the burden of life and work and life without work until the story is gone from your professional interest. A spark of whatever reminded me of Paul recently and the reams of blame left by courts filled out some of the rest. It reminded me that he existed and still exists. I watched him so closely on days, from afar. When I first saw him (and he saw me without knowing): Paul was arrested early October 2008 and soon after went before the county circuit court for a preliminary hearing. Paul’s attorney contextualized the arrest in a cross-questioning of the officer. Jumper cables strung to a battery charger that reached inside Paul’s apartment, one of about a half-dozen phony Tudor units you’re quick to off a county highway. The headlights weren’t on and Paul wasn’t wearing shoes, as he had “no intent” to move the stalled minivan. Paul had run ins with this same officer before. There was a pestering neighbor who called the cop calls and “doesn’t like anyone who lives there.” There are “political pressures” to charge this type of thing, the defense attorney said. The assistant district attorney listed the felonies (operating while intoxicated – 6th, and felony “tampering” on account of the balloons) and noted Paul’s priors. They later submitted state laboratory evidence that pegged Paul’s BAC at .325. Paul was spoken about but, probably wisely, did not speak aloud. One thing they take with your freedom is the benefit of the doubt. The hearing lasted 38 minutes. Wisconsin is the only state in the country where your first drunken driving charge is just a ticket (though a costly one where your car is impounded). Not until your fourth operating while intoxicated (OWI) is it generally a felony, with fifth and higher at the points when they slap on substantial prison time. As a reporter, editors told me to ignore anything below a 7th OWI. TV news buries anything much less than a baker’s dozen outside of the alleged famous, alleged infamous or alleged vehicular manslaughter of a sober person. The major league baseball team in Milwaukee, the Brewers, play in Miller Park, located across the street from that beer baron’s primary bottling and canning operations. The tavern lobby remains a financial force behind political campaigns. Cops can’t carry out alcohol checkpoints but do get ensnared in OWIs themselves with regularity. The tied houses are gone but, in Milwaukee and elsewhere, beer sales at stores stop curiously early so as to further oblige your trip that evening to meet friends and cohorts at the bar. To drink by yourself at home acknowledges anti-social behavior or belies other troubles. You are around the charges and criminal complaints enough that you don’t pay mind. There becomes a normal vision and view of being publicly slobberknockered. Begin to side with one of the long-time reporters over the tactical arguments of OWI as assumptive, virtually a thought crime. Laugh with the acumen of tipsy pilots and float on with the tiny nihilism of a late Friday night coming home. You – I – drive buzzed or lit up a bunch of times and never get pulled over. Try not to get puritanical about any of it as long as your days remain in personally positive odds of prostalgia. Sit in the courtroom pews as a guest to this unfolding “unusual case,” in the defense attorney’s definition during sentencing in June 2009. Submit: the balloons, the prison precedent, the immobile minivan. Paul, his client, was a good man with alcohol troubles, with a loving son and supportive second ex and the talents to run “multi-million-dollar presses” at various large-scale printers. It was not unusual in that the lawyers worked out a plea that would send Paul to prison for more years and more still if he caved in the ways allowed of a restricted man. The Friday I was fired from the newspaper, in 2009 during the worst week of the Great Recession and along with half the newsroom, I drove directly to the bank and withdrew my entire paycheck. I drove home yelling Sun City Girls lyrics out the window from the suburbs back to the city. I bought all the beer I could and an ice cream cake in the shape of a football for a Super Bowl party. When I was fired that afternoon, something had broken that it took years to realize, in tow with damage to relationships and credit history and liver. In this same records room, there was a tri-fold brochure from Consumer Safety Technology Inc. (CST), the Des Moines-based company that makes the Intoxalock alcohol detection ignition system. A third-tier entry in today’s surveillance state. The cover of the brochure flashes stock imagery of the Capitol Building in D.C., Golden Gate Bridge, the Badlands, the Statue of Liberty, with a Ford heavy duty pickup truck facing them all. “Wherever life takes you … Drive safely …” stands as a unique sales pitch for users with decreasing options at this very point. In a “Fact vs. Fiction” section, the passive-aggressive distance of Midwestern/Lutheran absorption is visible, like digits labeled at the lip of the deep-end of a pool where you can already see the bottom. Another fold contains state forms for identification cards and occupation operator license; an impassioned plea to get you “legally back on the road” with the “educational” and “reliable” assistance of CST’s devices, via company V.P. 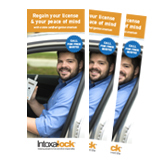 Scott Lawton; an order form for those same devices; and a four-fold brochure from the state further advocating for ignition interlock devices. (That second, Wisconsin-penned brochure includes an image of the interior of a different Ford truck as well as an icon inviting you to help “spread the word” on the Intoxalock Facebook page.) 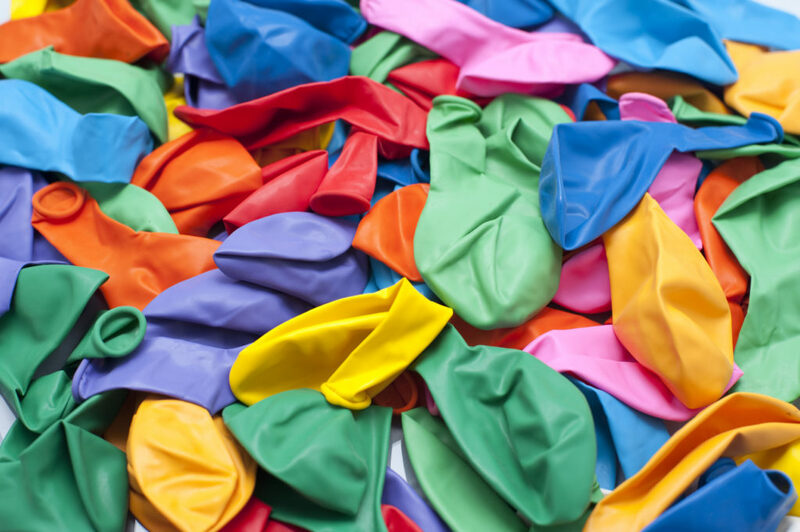 No balloons are mentioned or used in the form of stock imagery. Check back on his life, from an entirely personal tinge of infrequent interest. Paul moved around in prison. In finishing off priors from his 5th OWI and delving into his sentence for his 6th (the balloon one), he spent 2011 in Red Granite, Dodge and Jackson correction facilities. In 2012, he was between Flambeau and Stanley and finally to Thompson. Then district attorney and current state attorney general, Brad Schimel, responded to the court to ask to deny this early release. The Judge, Hon. Lloyd Carter, was not moved by the petition and emphasized Paul stay in prison and, among other expectations, maintain “ABSOLUTE SOBRIETY”. Four months after Paul’s early release request was denied, all caps and all, he was released under extended supervision until at least 2017 to life back in Waukesha County. No response from anyone at the door of one former known address where I knocked. Not enough guts from me to knock on a second one. (Old journalistic drive since frazzled enough to rest on limbic brain reactions that no one had been home at this empty house in years.) Return to the outsider’s search via Facebook. He is in his late 50’s without any new digital files following him around, at least in public. In an undated photo, he’s wearing a vulnerable smile and a Brewers hat with a backdrop of small, framed art for sale. This entry was posted in My Stories and tagged court, drinking, journalism, nonfiction, Waukesha. Bookmark the permalink.